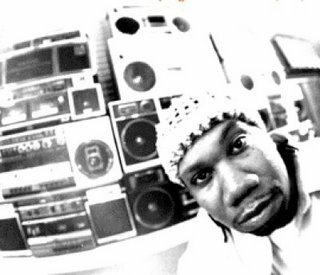 Bringing DJ culture back to it’s roots and shining a spotlight on Dj culture, turntablism, community and activism, this festival will be a mixture of music and speakers, including KRS ONE. And it’s taking pace in Dubya’s back yard. Torch it for me, guys. DJ’s have been regarded as “underground” since their beginning in the early 1970’s with founders such as Kool Herc and Grand Master Flowers. They were the “Band” to acts until tracks were just played in the background with little to no live presence. DJ’s then went on to “spinning” these records bringing extra life to parties after and during performances adding to fads and trends in music. Using the turntable as an instrument, DJ’s found new ways to utilize their talent by blending, scratching and sampling, giving longevity to the music we hear today. DJ’s are able to give variety to an otherwise 2 or 3 act performance, hyping up the crowd and making night life quite the experience. Influencing what individuals listened to in Clubs and parties effected what individuals wanted to hear personally. Since the beginnings of DJ, technology has advanced, morphing the standard turntable in to a modern engine full of possibility. DJ’s are a community that promote for many forms of corporation, the music industry being just one of them. What DJs say and do can be compared to the effects of a modern day commercial, as we notice on radio broadcasts and their choices in the music they play.Due to the advancement and sudden metamorphosis of their influence in music, there are very few laws protecting this art form as a craft and career. Self sufficient machines threaten this career choice, as so many fear to lose their jobs to in this advancing society. Depending on the audience, a DJ can custom blend the airwaves, to censor otherwise, “restricted” music and control what the masses hear. It is the responsibility of the DJ to make sound decisions based on the age and the want of the audience. The Million DJ March supports all forms of live music and will donate all proceeds from the march to keep music alive in Public Schools. Keeping Children learning. LIVE PERFORMANCES: Bang Bang Boogie, Chuck T, Cory Gunz, DJ Aaries, DJ Geometrix, DJ Nabs, DJ Self, Gillie Da Kid, Jazzy Jay, Joell Ortiz, KRS-One, Kia Shine, Lord Tariq & Peter Gunz, Saigon, The Dey, The Untouchable DJ Drastic, and many more. Thank you for your overwhelming support. See you at the march. Providence, Rhode Island’s DJ Leggs will coordinate The Million DJ March Panel discussion board during the preceedings of the main event. Many Prominent DJ and artistic personalities will confront subject matters concerning DJ Technology, The Legacy of The Mix Tape, DJ Politics, and The History and Importance of The DJ In Hip Hop. The panels will be short seminars on August 29th, 2008 and August 30th, 2008 with plenty of press coverage and interaction from the crowd. If you are interested in contributing to the panel please contact DJ Leggs via e-mail at DJLeggs@themilliondjmarch.com. We will address a wide array of criteria concerning elements in hip hop culture mainly covering the DJ aspect but not limited to the cultural surroundings of the urban art forms that have transcended within the past 40+ years. Book your hotel room now! We have discounted rooms for you. The Million DJ March will occur on August 30th rain or shine at 11:00AM sharp on The National Mall. Please make posters and/or picket signs as you would any march. Tent space is available for companies wishing to hand out or promote product to the crowd. Call (202) 266-9000 to book your rooms. Limited rooms are remaining! All independent artists looking to perform are advised to contact TheMillionDJMarch@gmail.com immediately.